The topic of refrigerants is one of the most dynamic, evolving subjects in the refrigeration and air condition industries today. Worldwide, the desire to limit the global warming potential (GWP) of refrigerants is a growing concern. And, in some regions, such as the European Union, the pressure to phase out F-gases is resulting in the wider adoption of new and alternative refrigerant types in many common applications. While we witnessed the transition from CFCs to HCFCs and HFCs in the 1980s and 1990s, increasing growth of developing nations such as China and India is prompting regulators and refrigerant equipment manufacturers to explore the next generation of refrigerants. Already, there has been significant progress in this effort. At our recent Making Sense webinar, A Conversation on Refrigerants, presented live from the AHR show floor, I was fortunate enough to invite some of the industry’s thought leaders on this subject to discuss the current refrigerant trends and take a look at what’s on the horizon. Our distinguished guests weighed in on the plethora of refrigerants that are being developed as current, low-GWP alternatives and future, lower GWP transitional options come into view. Brett Van Horn, market manager, HVAC, Fluorochemicals, Arkema, Inc., stressed the importance of balancing GWP potential with safety, availability and cost (not just the refrigerant, but the system itself) when selecting refrigerants. Brett cautioned against adopting a less energy efficient, low GWP refrigerant option, lest one negate those environmental gains by increasing their overall carbon footprint. Mark W. Spatz, global refrigerant technology leader, Honeywell’s Fluorine Products, added that each application should be carefully evaluated individually in order to decide what makes the best sense for each particular situation. Mark asserted that energy efficiency and safety, while important, must also be considered alongside the bottom line cost to own or operate the equipment (i.e., first cost, repair, and replacement costs of the refrigerant itself). Barbara Minor, senior technical fellow, DuPont Fluoroproducts, talked about cascaded systems that are being deployed in E.U. supermarkets that utilize 134a for medium temperatures, and CO2 for its optimal performance in low temperatures. Barbara explained how the most commonly used refrigerant in supermarkets, R404A, is coming under increasing pressure to be eliminated and that many alternatives to R404A are readily available. At Emerson Climate, we’ve seen a lot of interest in CO2, ammonia and propane refrigerants, and we’re developing products with these emerging refrigerants in mind. Because many of the new refrigerants proposed as replacements for today’s common refrigerants are mildly flammable, it may take quite some time for codes/standards to be established and thus drive market adoption. But, as our conversation on refrigerants revealed, the trend toward lower GWP gases will continue to shape our industry in the decades to come. You can trust that Emerson will be on the forefront of these developments. If you missed A Conversation on Refrigerants or any of Making Sense webinar series, you can download the “on demand” version at your convenience by visiting our website at: www.emersonclimate.com/makingsensewebinars. Industrial refrigeration systems reject a significant quantity of waste heat to the atmosphere. Heat pumps can capture this waste heat efficiently and use it to reduce the fossil fuels consumed to heat water. Industrial heat pumps are environmentally friendly and economical, allowing end-users to make the most of their energy resources. This 4-minute video explains how industrial heat pumps benefit food and beverage processing plants. Industrial ammonia heat pumps offer end-users a comprehensive sustainable solution by reducing energy consumption, water, waste water, CO2 emissions and operating costs. They are environmentally friendly as ammonia is a natural refrigerant with an ozone depletion potential (ODP) of zero and a global warming potential (GWP) of zero. Industrial heat pumps provide energy conservation, by converting the heat energy removed by ammonia refrigeration systems and transforming it into beneficial heat for use in satisfying plant hot water requirements. This source of energy is renewable as the heat is naturally occurring within food products and is made available through food preservation by the process of refrigeration, a reusable energy source. 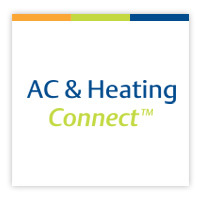 Ammonia heat pumps reduce operating costs. Ammonia refrigeration systems absorb heat from products, processes, equipment, people, building heat gains and infiltration, and then reject it as waste heat to the atmosphere through, typically, evaporative condensers. The majority of the heat delivered by heat pumps comes from the heat extracted from these cooling loads. An incremental amount of heat delivered by heat pumps comes from the electric energy consumed in converting the low grade waste heat into high temperature useable heat. An additional benefit of industrial heat pumps, applied as retrofits to existing systems, is that they add condensing capacity to systems. 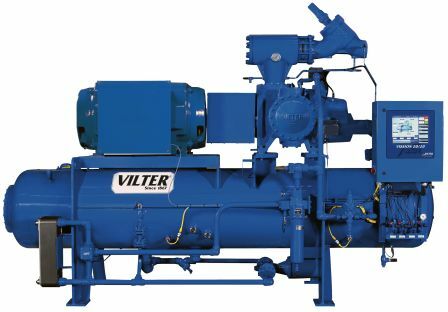 Industrial heat pumps divert load away from evaporative condensers, allowing existing system compressors to operate more efficiently at lower condensing pressures. Further, reduced condenser loads correspond to conservation of water, water treatment chemicals, and waste water. Supermarkets affected by these changes include an 8,000 square feet small neighborhood markets, all the way to a 150,000 square feet big box stores. Parallel rack refrigeration systems and distributed refrigeration systems must meet these new requirements. Floating head pressure requires controls to float refrigeration system saturated condensing temperature (SCT) to 70°F during low-ambient temperature conditions. Condenser specific efficiency sets condenser fan motor efficiency requirements. Floating suction pressure requires controls to set target suction temperatures based on space temperature rather than a fixed set point. Mechanical subcooling requires liquid refrigerant to be subcooled to 50°F or less on low-temperature systems. Automated display case lighting must turn off display case lights during non-business hours. Finally, heat recovery must use rejected heat from refrigeration systems for space heating, with a limited increase in refrigerant charge. According to a notice from the California Energy Commission, the revised effective date – July 1, 2014 will provide the building industry with full complement of tools to comply with the prescriptive and performance compliance options and sufficient time for training on the use of those tools. Brett Van Horn, PhD, Global Project Leader, R&D, Arkema, Inc. This conversation will encompass a wide range of refrigerant topics — from refrigerants used today and in the future to making selections based on applications, regulatory issues, sustainability and maintenance. You’ll learn about new refrigerants being developed for retrofit and new applications that can help lower your stores’ carbon footprint. We’ll discuss ideas for minimizing refrigerant transition costs in the future in an uncertain regulatory climate. 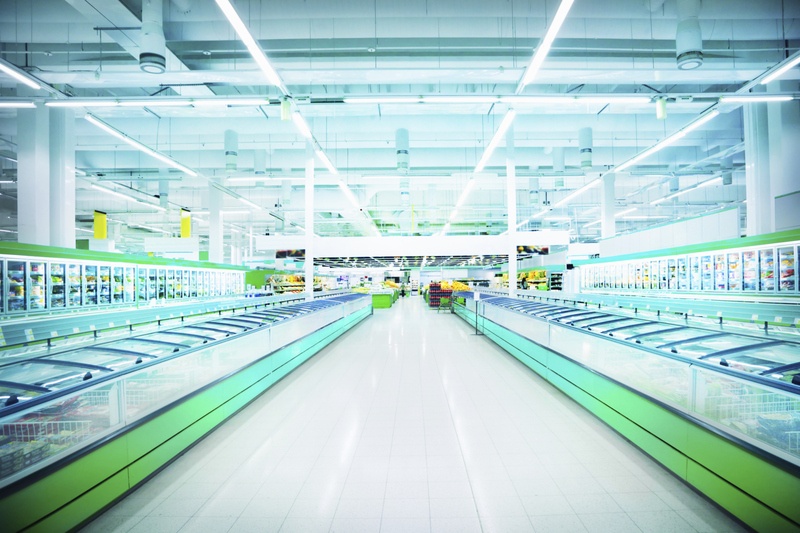 And, you’ll learn more about the latest low-GWP refrigerants, both synthetic and natural. If you missed any of our live webinars, you can access them at your convenience by visiting our website at: www.emersonclimate.com/makingsensewebinars. Register now to join the conversation on refrigerants. If you happen to be attending the AHR Expo on January 21 at 2 p.m., you’re welcome to stop by booth #1031 and join us. 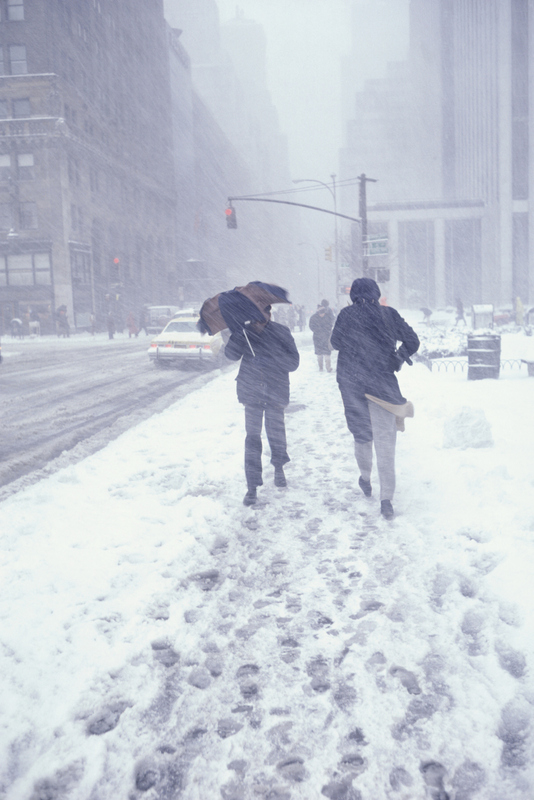 Northeast Cooling has posted a few blogs regarding what is needed to keep refrigeration equipment running during periods of extreme cold temperatures. In light of the weather that much of the United States is currently experiencing we thought we’d share those posts here.